It has been a good year. I guess you could call these the best bits. Deep in the Oetztal valley, on a small unassuming hill there is a trail. Its 400 meter height loss may seem paltry compared to the quadruple figure descents that can be found in the mountains roundabout, but this is the trail from the past year that is occupying my thoughts the most. It was 400 meters of steep, rooty challenge. For the most part right on the edge of what I can comfortably ride, in sections somewhere over that line. With my modest skill it could be cleaned, just, one glorious day, but until that day comes I can only dream. This year has been a good one for trails, both old and new and whilst the north side of Eckham is number one, honourable mentions must go to trails new and old. Achnasellach was worth waiting a year for, a whole heap of trails from the Euro adventure, plus some new lakeland passes in the mix. The Marin trail still has me coming back for more, and Nan Beild will always bring a smile to my face. And so we discovered one of the best bicycle shops there is. We left with a whole load of out of the way trails highlighted on to our map and some of the crispest shifting I have experienced. It was ace, they have all the normal products, but what stood out was the staff. These guys were so knowledgeable, and clearly loved mountain biking. I ask for no more. Speaking of good bike shops, a local one has been hard to come by for donkeys years. There are a few ok offerings, but Rick and Matt at Twelve50 have really stepped things up a notch. 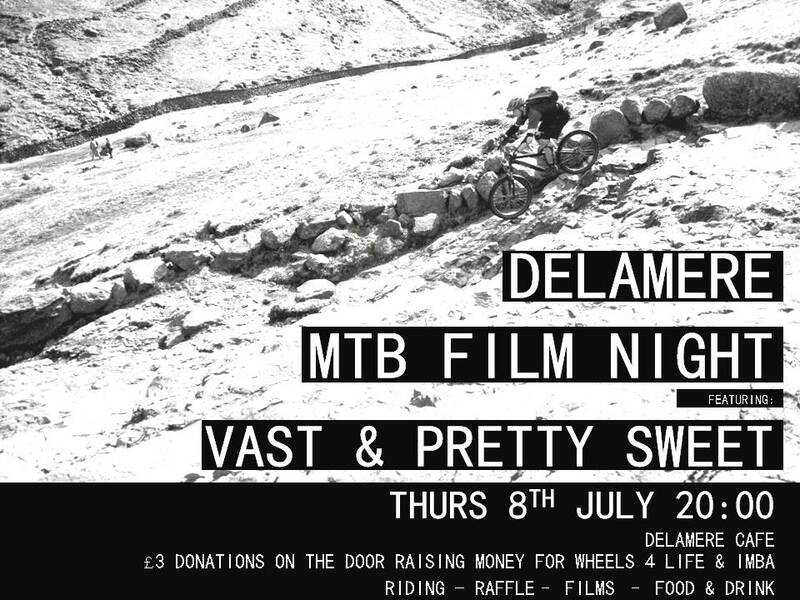 Awesome service, awesome stuff, awesome guys, group rides in't woods, plus without them I think about 10 people would have showed up for our film night. Top stuff. We have been waiting for this. Tea shops are important to Pretty Sweet. They should be important to everyone. Forestry Commission leased places at the trail centre can be pretty good, but it is the out of the way places we like. 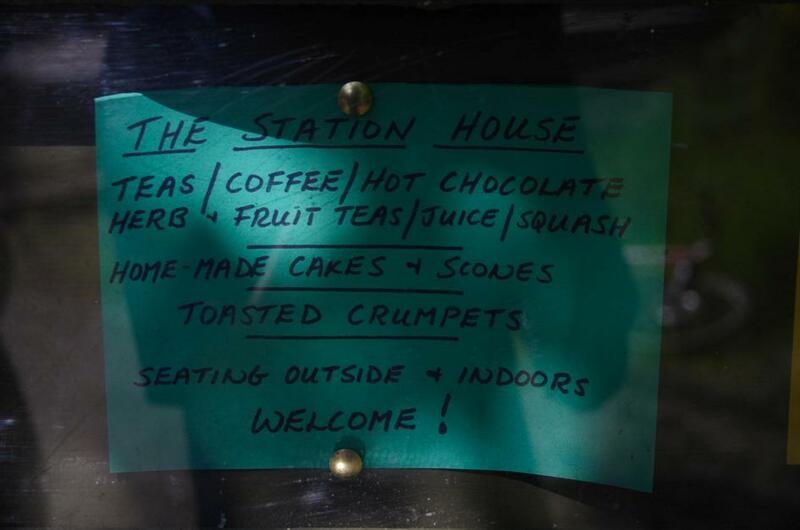 And that brings us on to The Station House. 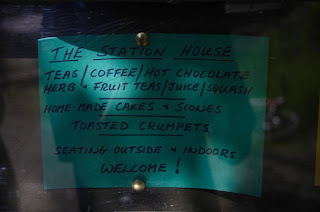 The best tea room I have been to, and I have been to a few. 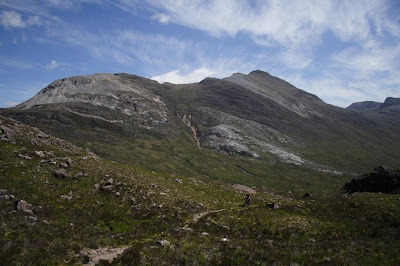 Torridon has some pretty nice trails, and at the bottom of the best of them is a small house, with a husband and wife duo who open when they feel like it. Luckily we had tea, cake and flannels to wash our faces with. Just superb. I would pick this, wouldn't I? To be honest, projector stresses aged me a few years beforehand at 10 mins before the start I was saying never again. Then I had a way good night. The decent crowd was great to see, but the best thing was the sheer level of enthusiasm everyone had for riding. It warmed the cockles of my heart. 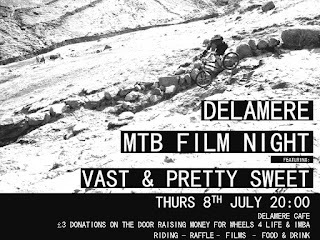 It was great to chat about bike films, bike trails and other bike crap with folk who just seemed to get it. Cheers to everyone that came. Oh yeah, there was two films and a good wodge for charity as well. Have to say that the Tour de Ben Nevis was also great, the best mtb race I have done by a long shot. Hopefully we will be back next year. I'll be honest, most of us are not that really into the 'gear' side of mountain biking. Hell, Cal and I ride Rockhoppers and the majority of stuff is fairly aged kit. So yeah, we like stuff that works and lasts. This year was a big year for new kit for me, getting a new rucksack, after a zip explosion, and some new shoes after the soles of the old ones went AWOL. The new rucksack was a definite step up. It is soo dang comfortable, and it survived the over stuffing, zip stretching marathon that was the summer's euro adventure. It is plenty big enough for an SLR and all the gubbins and cake I like to take around the hills with me. So, for being noticeably better than its predecessor, this bag deserves a mention.